This termite bait was found on an annual inspection of a PREVENTATIVE treatment!!! What does that mean?? 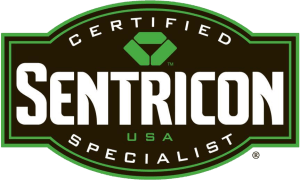 It means that this homeowner had no evidence of termites….yet….but he took the initiative to go ahead and protect his home with the Sentricon Termite Baiting System! We had a hit on three sides of his house! He is sure glad the termites found the bait and not his house!!! Serving Waco, Hewitt, Woodway, Robinson, Lorena, China Spring, McGregor, Crawford and surrounding areas!